Another busy weekday calls for a make ahead meal. Last night I assembled this meatloaf ahead of time so all I had to do when I got home was pop it in the oven. It took a good 1 hour, but I still had dinner on the table by 6:30. Most families I know eat between the 5:30-7:00 window, so this is a perfect thing to make the night before. You could even make 2, and freeze one uncooked for another night! In a large bowl combine all your ingredients. I get in there and mix it up with my hands. Mix just enough to combine the ingredients. DO NOT OVERMIX! I do not use ketchup at all. 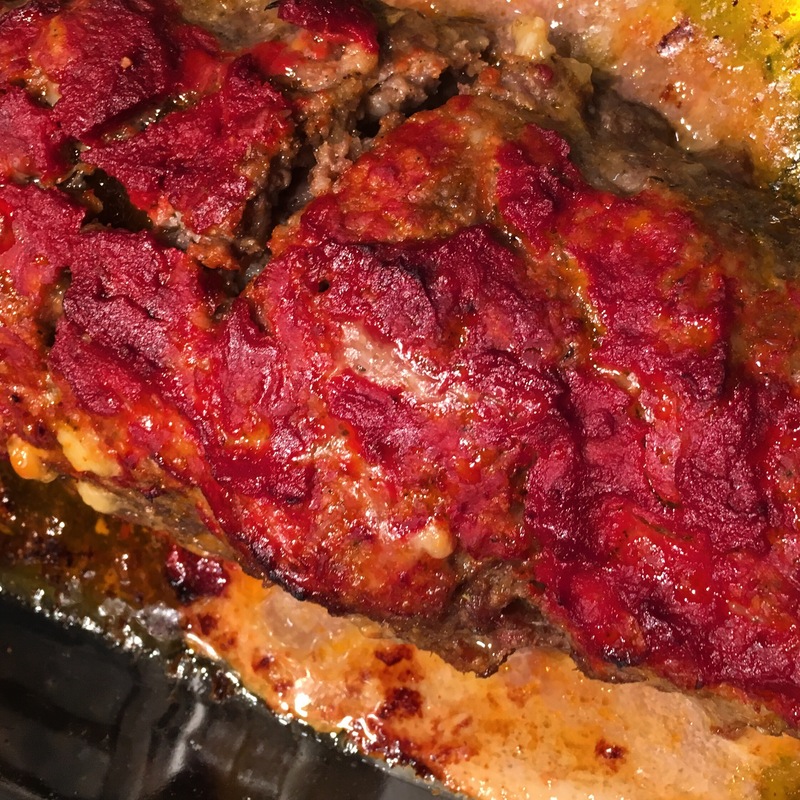 The tomato sauce, tomato paste, and Worcestershire combo is better and gives the meatloaf so much more depth of flavor than ketchup ever could. I take my mixture, form in a loaf shape, and put it on some aluminum foil in a long baking dish. Top with more tomato sauce. 350 for about an 1 hour or until meat is at 155. Take out and let it sit for 10 minutes to set and for carry over cooking. Enough leftovers for the hubby and I to take for lunch tomorrow! I served with some green beans and fried potatoes (small white potatoes diced with salt and pepper cooked in a bit of olive oil and cooked until tender, about 40 minutes).